# 33 Butterflies + F is for Flowers. 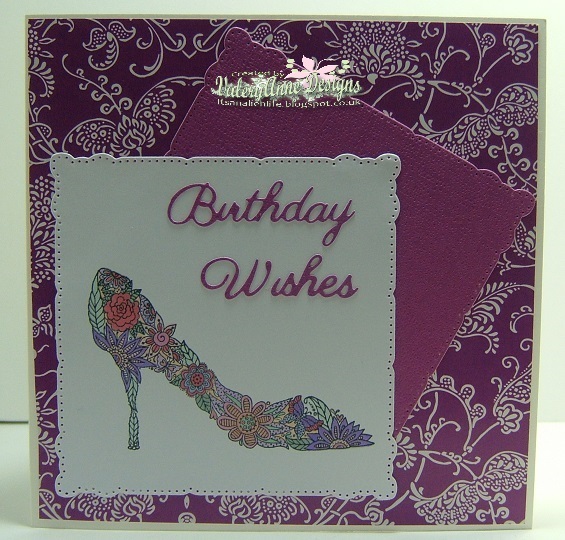 Hi I’m Glenda Marklew and I am delighted to be the guest designer for this challenge. I live in South Africa in the sunny city of Durban. I am a wife and a mother, to a furry child of the feline persuasion. My day job is that of Educator to a group of nine year old boys. It’s very noisy and extremely energetic and so my craft room is what keeps me sane. Like so many of you I started crafting early. I made my first wearable skirt when I was 11 and I still sew. I also knit and am learning to crochet although I have a long way to go there. Both of my Grandmothers embroidered beautifully and that is where my love for embroidery was started. 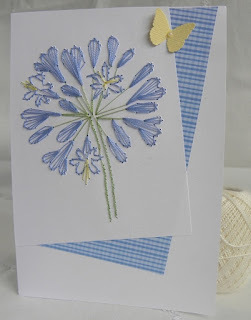 I began making cards about 20 years ago now but was introduced to this particular method called “Prick and Stitch” about 8 years ago now. 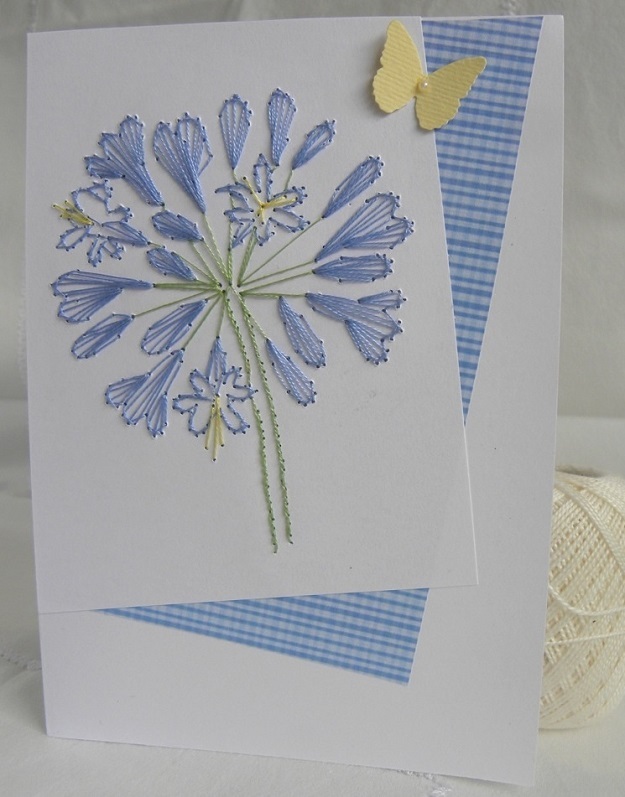 It’s a combination of cards making and embroidery. My two loves. I was hooked ! So that’s my story and now it’s your turn. 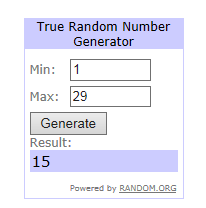 I can’t wait to see how you all interpret this month’s challenge. Glenda has chosen the following letter for you. 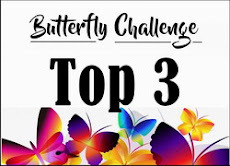 #33 Butterfly/ies + F is for flowers. 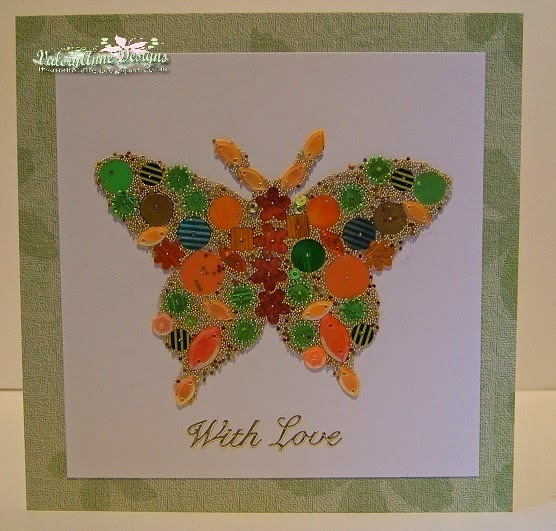 Here is Glenda's project for you. 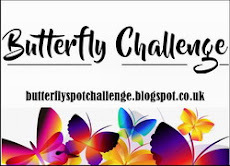 You can find more information on Glenda's blog. I couldn't leave this one out of my slection. Checkout what Kim has done with hers. I have my cling film and rolls of cello tape at the ready. (Now that's my kind of coffee! 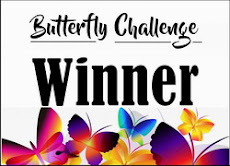 Congratulations Kitty, a second time win for you. Hope to see you back in #33. Hi, I'm Catherine, aka Ammaris Art. I live in Poland with my husband and two children. 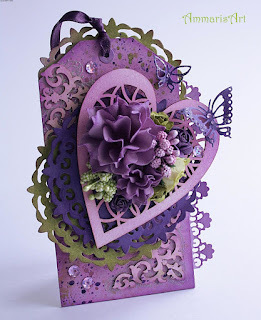 I'm a young blogger and cardmaker, I discovered cardmaking about a year ago and I fell in love with it completely. My favourite style is vintage and shabby chic. 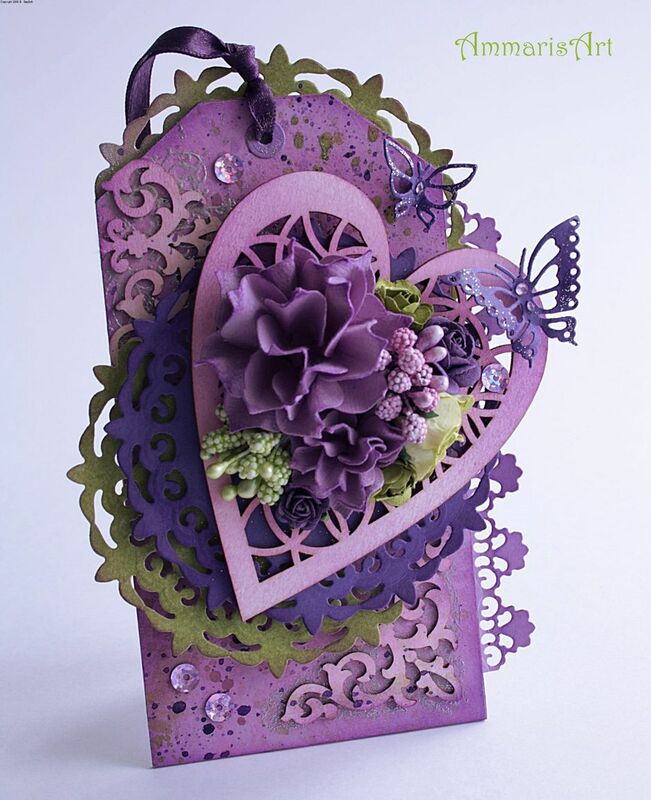 I love rich embellishments, layers, die cuts, inks and handmade flowers. 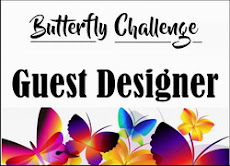 I'm happy and honored to be a Guest Designer for the Butterfly Challenge #32 today. I can't wait to see your wonderful creations! Catherine has chosen the following letter for you. 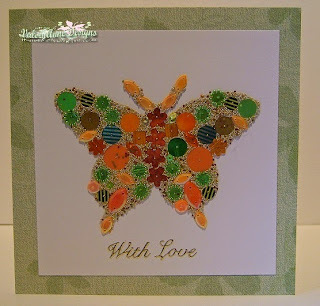 #30 Butterfly/ies + S is for Sequins. Here is Catherine's project for you. Just look at all the detailing on it. Hope to see you back in #32.